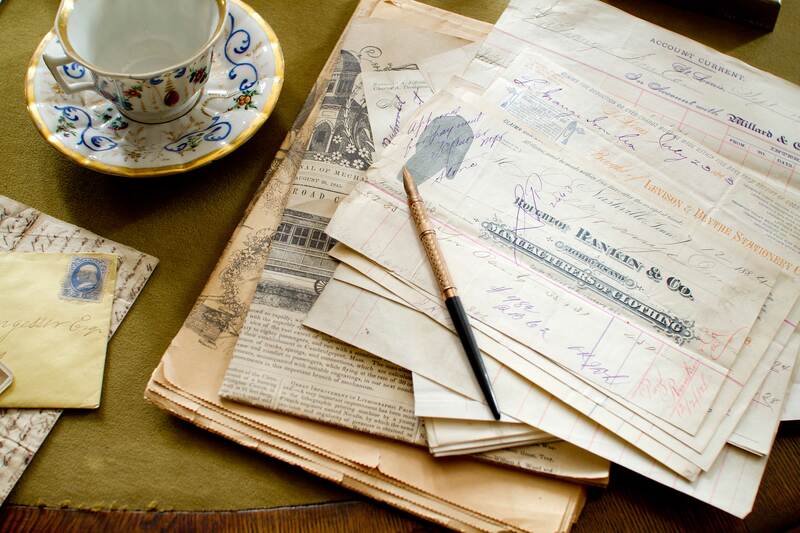 When Hazlett Campbell died in 1938 there were likely tens of thousands of pages worth of family and business documents spread throughout the house. While a significant number were preserved, today in the collections of CHM, the Missouri Historical Society and the Mercantile Library, it is likely that just as many were lost. The historic documents that remain serve as the primary means of understanding the Campbells and their lives.